Monday Oct 3rd! Ring in the New Month w/ NYC’s EBONI HOGAN! Musical Guest KAIGEN, Emcee from JAPAN! and the 3rd Annual Saltine Haiku Challenge! | Dirty Gerund at Ralph's Rock Diner! « Monday! 9/26/11 – Two Years in the faking! Come celebrate me & Nick’s DG Anniversary! w/ NPS Finalist FRANNY CHOI, Musical Guest FRANKY HURRICANE. PLUS MISS DIRTY GERUND PAGEANT!!! Monday Oct 3rd! Ring in the New Month w/ NYC’s EBONI HOGAN! 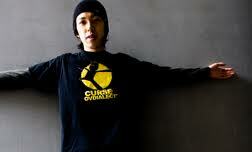 Musical Guest KAIGEN, Emcee from JAPAN! and the 3rd Annual Saltine Haiku Challenge! Dirty Gerund’s starting our third year of New Management off RIGHT!!!! Congrats to our newest MISS DIRTY GERUND PAGEANT WINNER MEGAN THOMA!!! 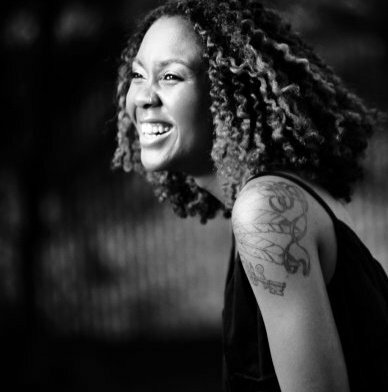 Let’s keep celebrating fierce women word warriors by welcoming this Monday’s Featured Poet, 2010 WOMEN OF THE WORLD (WOWPS) CHAMPION EBONI HOGAN to our stage! Eboni is a poet/actress/teaching artist who has performed in over 20 U.S. cities, as well as in Ghana and West Africa.. She’s the 2008 New York City Urbana Poetry Grand Slam Champion, a member of the 2007 and 2009 Nuyorican Poetry Slam Teams, and a part of the performance collective, Bitten Tongue. Eboni is published in the anthologies “His Rib” and “Double Lives” and recently released her first book “Grits”. She studied theater at NYU and the University of Ghana, and now resides in Sunset Park, Brooklyn. She’s currently on tour and this will be her first time featuring in Worcester! Let’s welcome her! MUSICAL GUEST: Holy line-up change bat-man! We had a mis-communication with our original musical guest. That’s more than okay! Because Musical Director Greg McKillop’s GOT YOU! This week, none other than touring emcee KAIGEN!!! Japanese rapper Kaigen happened upon hip hop by backtracking the influences of some of his favourite bands like Beck and Rage Against the Machine. But it was while living in Australia that he joined up with Mush recording artists Curse Ov Dialect, who quickly encouraged Kaigen to take his music making much more seriously. Assisted on production by the Curse Ov Dialect crew, Kaigen recorded a vinyl EP entitled Curse Ov The Kaigen, which he released in 2007, and followed up with a full-length album on CD the following year by retaining the name and adding a few additional tracks to the EP. With dense, layered production that has more in common with Def Jux than Anticon (a favoured crew of Kaigen’s) or his production team’s label, Mush, Kaigen spits reality-based raps about things like positive thinking, stereotypes, conformity and additives in food using an aggressive, abstract flow. And he promises Curse Ov The Kaigen will be even “better and crazier for sure!” Time for Kaigen to hip you to his history and the Japanese hip hop scene from which he has risen. WHAT!!! Check it! 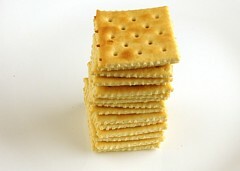 BONUS RUCKUS – 3rd ANNUAL (BORROWED FROM WRITE BLOODY BOOKS) “Cracker in your Mouth While Spitting” HAIKU CHALLENGE!!! Like short short morsels of poetry, spit at you along with salty cracker spew? Me neither. But NICHOLAS EARL DAVIS is a champ and your curator, so what he says goes, sometimes! If you like writing haiku, have relatively stable blood pressure and have always been wondering just how many tasty crackers can fit in your mouth while delivering your poetry, then we got the challenge for you! Whoever can fit the most and still be understood, wins an awesome prize and something to wash the mess down with! There will be a waiver form for this! Don’t die! Guest Visual Artist! 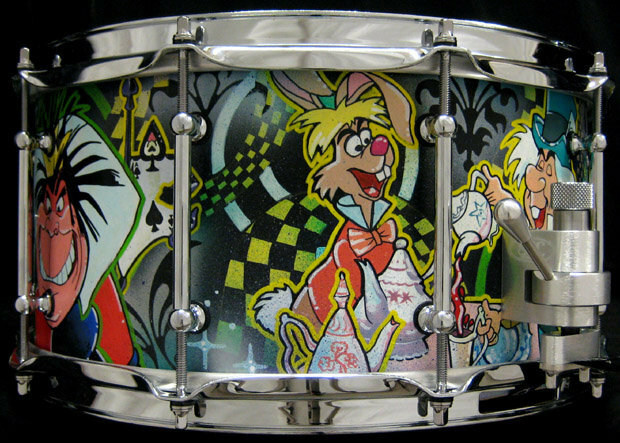 JENNIFER COLE was raised by wolves and currently works as an artist, painting drums for SJC Drums (see photo to the right? word)! Snack Time? Talk to EMILEE MORREALE! Dirty Gerund Duct Tape band is hoping to get some guitar back this week! ALSO!!! DG Visual Arts Director AARON WHITE is having a first full gallery exhibit this Saturday! DETAILS HERE! (rumor has it some DG poets will be on hand with new original work about Aaron’s pieces. Food by Snack-Time Queen EMILEE MORREALE as well! Man throw in some YOSH & CHICKEN working the bar & grill, and you got a full blown Gerund on a SATURDAY!!! Ya’ll should go, seriously! We’ll leave you with some video from our awesome feature! Then we’ll leave you! This entry was posted on September 29, 2011 at 10:54 pm and is filed under Uncategorized. You can follow any responses to this entry through the RSS 2.0 feed. You can leave a response, or trackback from your own site.